Sea, Sand & Sky: Kayaking Adventure. 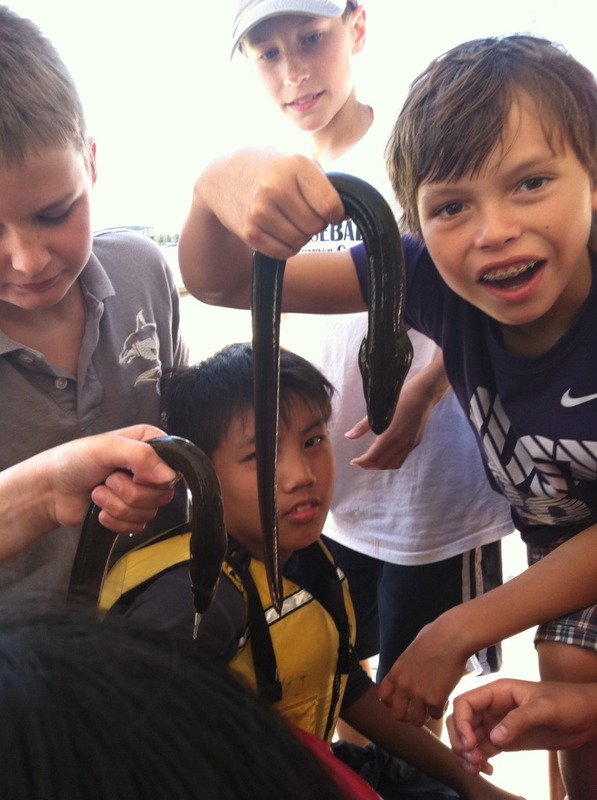 Kids having fun with the Eels!!! This past week I got to go to Community Boating with Sheuli as our Senior Marine Educator. Sheuli had planned a little kayaking trip to search for Mussels and set up Eel traps in the water. At first I wasn't really excited about it, because I never kayaked before, and thought I would fall in the water. Then Paul one other Senior Marine Educator walked me through on how to use a kayak. The kids I worked with were Pros, so they did not need any help. Once I got in the kayak, the rest was pretty easy. The only part I did not expect was my pants getting all wet. But overall it was pretty exciting. The kids loved the kayaking trip, although we did not find any Mussels. The Kids also learned about the Eel 's life cycle. Labels: Community Boating, Hugues M. B.